The Aldens are helping out at a rescue ranch, taking care of horses that need extra attention. Jessie’s favorite is a beautiful horse named Dragon. 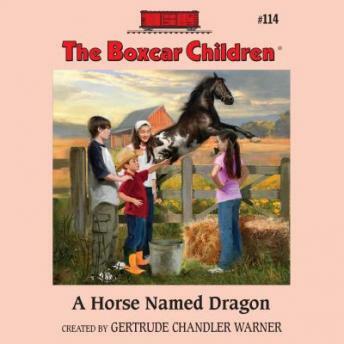 But when Dragon and some of the other horses disappear from the pasture, the Boxcar Children must saddle up for a mystery. What’s happening to the horses at the Dare to Dream Ranch?